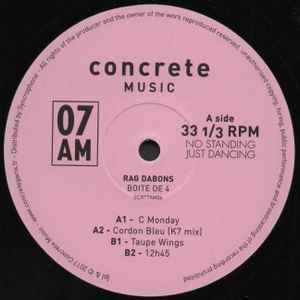 - all tracks have been produced by Rag Dabons. - It's deep with a bit of acid inside. - It's all about Jesus and Denver, the last dinosaur. What is with the abnormal prices for this record? Has been sold for a little as 9eu and now >41eu?